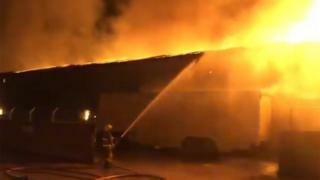 Firefighters have have been tackling a blaze at a Lancashire warehouse. 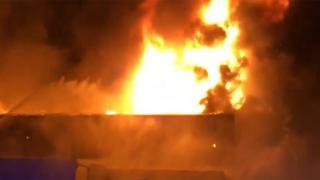 The “well-developed fire” broke out at about 23:40 GMT on Sunday in Market Street, Adlington, Chorley. At its height, 12 fire engines were at the commercial premises used for storing furnishings, a paint shop and metal recycling facility. About 20 people were evacuated from their homes as a precaution and sought refuge in a nearby pub. Fire crews have since brought the fire under control. Proven strategies, insider secrets and step by step blueprints to use the Audience Toolkit for maximum results as quickly as possible. Her neighbour Rachel Entwistle said the building “went up very, very quickly”. Kevin Rushmere, who also lives nearby, said he “rescued the dog and some beer and awaited further instructions from the fire brigade”. 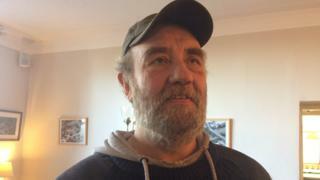 Mr Rushmere, who is self-employed, said he could not get to his vehicle to get to his tools and was having to take the day off work. Sir Lindsay Hoyle, MP for Chorley, tweeted that Chorley Council was “working to accommodate residents if they are unable to return home tonight”. 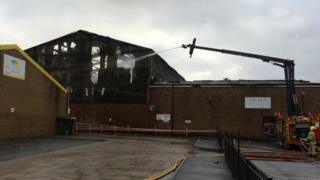 Jon Charters, from Lancashire Fire and Rescue Service (LFRS), said the building, which measures about 3,500 sq m, was well alight when crews arrived. Market Street is closed in both directions near the White Bear roundabout, but the railway line has not been affected. Supercharge your marketing with this special set of squeeze pages, customizable squeeze videos, autoresponders, and more.